Steven Wagstaffe, San Mateo County District Attorney, said that his office's review of computers seized in a raid of Gizmodo editor Jason Chen's home showed no actionable evidence to charge him criminally, reports CNET. Wagstaffe did, however, comment that the e-mail conversations his office uncovered were less than professional. "It was obvious they were angry with the company about not being invited to some press conference or some big Apple event," Wagstaffe said. "We expected to see a certain amount of professionalism-this is like 15-year-old children talking." 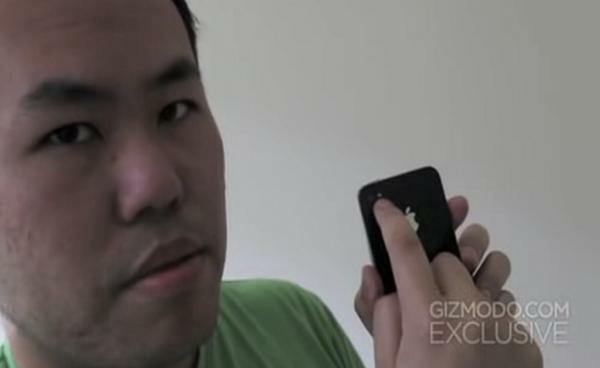 The raid on Chen's home in 2010 was prompted by the editor purchasing and posting photos of an iPhone 4 prototype, reported to have been lost in a local bar. Authorities were looking for electronic files and other physical evidence that would tie Chen to the theft of the phone, after allegedly being contacted by Apple. Under California law, any person who finds lost property and knows who the owner is likely to be, but "appropriates such property to his own use," is guilty of theft. Another law states that any person who knowingly receives illegal property can be imprisoned for up to one year. Wagstaffe notes that there wasn't enough evidence to charge Chen of any wrongdoing, including extortion. The reference comes from an unsealed court record that reveals Gizmodo editors, in an e-mail exchange with then-Apple CEO Steve Jobs, listed conditions to be met before the prototype was returned. In the e-mails, another editor also implied that he wanted better access to Apple products in the future, CNET reports. Gizmodo has subsequently been banned from Apple events. "There was so much animosity, and they were very critical of Apple," Wagstaffe said. "They talked about having Apple right where they wanted them and they were really going to show them." Prosecutors ultimately did not pursue criminal charges, possibly in light of allegations that the raid on Chen's house was illegal. The report comes on the heels of Tuesday's no-contest plea from the two suspects accused of selling the lost prototype. Brian Hogan, the man who allegedly found the prototype in a bar, and Sage Wallower, who allegedly shopped the device to tech sites, were each sentenced to one year probation, 40 hours of public service and $250 in restitution to be paid to Apple, reports CNET. The two men were charged with theft of lost property last August. The no-contest plea from Hogan and Wallower differs from pleading guilty in that, while it leads to a criminal conviction, the admission of guilt can't be used in any civil lawsuits Apple may choose to pursue. These latest developments bring an end to the more than year-long saga.